In my opinon a report: Navy Yard shooter was on Antidepressant Trazodone—How many more drug induced shootings until lawmakers wake up? Navy Yard shooter was on Antidepressant Trazodone—How many more drug induced shootings until lawmakers wake up? 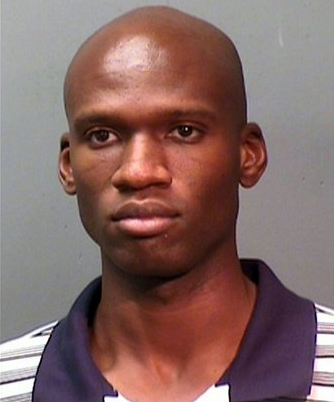 It took less than 48 hours to learn that Washington Navy Yard shooter, Aaron Alexis, is another in a long line of psychiatric drug-induced perpetrators. The New York Times has reported that while in Providence Rhode Island on August 23, 2013, and again, five days later, in Washington, D.C., Alexis had been prescribed Trazodone, an antidepressant that carries an FDA black box warning for suicide, and is documented to cause mania and violent behavior. Now, twelve innocent people (plus the shooter) are dead at the Washington Navy Yard. Yes, these senseless deaths are sad, tragic, and incomprehensible. And it is time to point the finger at those who are responsible. Because lawmakers, both at the state and federal level, refuse to address the enormous amount of information revealing the connection between violence and prescription psychiatric drugs, mass shootings, like the massacre which occurred at the Washington Navy Yard, will continue. Despite 22 international drug regulatory warnings on psychiatric drugs citing effects of mania, hostility, violence and even homicidal ideation, and dozens of high profile shootings/killings tied to psychiatric drug use, there has yet to be a federal investigation on the link between psychiatric drugs and acts of senseless violence. Seriously, how many mass shootings have to occur by shooters with a psychiatric drug history before those who have the power to make a difference finally take the necessary action to protect the American people? The list of shooters receiving psychiatric care and psychiatric drug use is long. In just a little over a year there have been three such mass shootings, including Aurora, Co., Newtown, Ct., and now the Washington Navy Yard, totaling 52 dead and 69 injured. In each case, as in dozens of other mass shootings, the common denominator is that the shooters were either receiving psychiatric care, taking mind altering psychiatric drugs or both. While law enforcement fumbles around trying to figure out a motive, it may behoove them to look at Alexis’ psychiatric history and, specifically, his complete psychiatric drug “treatment” record. This information is imperative and yet, it is astounding that more often than not, obtaining the psychiatric drug information of the shooters is withheld from the public for months and years. A perfect example of this is the lawsuit that has been filed in Connecticut to force the state’s Medical Examiner to release the psychiatric history and psychiatric drug data regarding gunman, Adam Lanza. The same difficulties occurred with Aurora, Co., shooter, James Holmes, who also was under psychiatric care, and although police recovered antidepressants from his apartment, the media barely mentioned it and legislators ignored pursing the role these drugs may have played in yet another mass shooting tied to psychiatric drug use. People are dying needlessly. This information isn’t a state secret. The proverbial cat has been out of the bag for years about the connection between psychiatric drugs and violence. Even the Food and Drug Administration (FDA) gets it, and acknowledges that psychiatric drugs can cause both suicide and violence. Ironically, even the military has finally begun to address the over-prescription of psychiatric drugs because of the epidemic of military suicides. Unfortunately, a recent study, conducted for the Department of Defense, DoD, looked at dozens of factors that may contribute to the military suicides but, believe it or not, failed to even mention psychiatric drug use, which according to DoD’s own data, is increasing yearly. These are not benign drugs. They alter the mind. The FDA’s MedWatch system reveals that between 2004-2012, there were 14,656 reports of psychiatric drugs causing violent side effects—1,415 cases of homicidal ideation/homicide, 3,287 cases of mania & 8,219 cases of aggression. The FDA admits that less than 1% of all serious events are ever reported to it, so the actual number of side effects occurring are most certainly higher. This isn’t guess work. It is documented. At least 31 school shootings and/or school-related acts of violence have been committed by those taking or withdrawing from psychiatric drugs, resulting in 162 wounded and 72 killed. Mania, hostility, violence, suicidal ideation and even homicidal ideation are adverse effects of psychiatric drugs. Twenty-two international drug regulatory warnings have been issued for psychiatric drugs. What part of these national and international warnings, the FDA’s Black Box Warnings and the lengthy list of shooters (including Alexis) with psychiatric drug use, don’t lawmakers understand? How many more innocent people have to die because lawmakers lacked the courage to explore the possibility of a connection between psychiatric drugs and violence? In my opinion a report a Letter: It’s the drugs, not the guns, at heart of shootings, Cathal Grant has had patients attack family members, even when he was warned about growing volient issue, he payed no attention and the family member was injured by there own famly member, but Cathal Grant does not care he is paid by the drug companies not to care just push the drugs if you need them or not. Previous PostIn my opinon a report: Statement by Psychiatrist Peter Breggin on Navy Yard Shooter Taking the Antidepressant TrazodoneNext Postin my opinion a report from Dr Mercola: The Hidden Factor Behind Recent Mass Shootings That Few Want to Admit and Cathal Grant in our experience overprescribes these drugs and other drugs for his personal profit from office visits (he gets you hooked on these drugs on purpose) and because he is paid by the drug companies to prescribe these drug to you if you need them or not.